the most vibrant Tex-Mex cultures in the States, with the majority of the population claiming some Hispanic heritage. Fiesta is a 10 day yearly celebration run entirely by non-profits who use the party to fund philanthropy throughout the year. Rodeos and Six Flags amusement park provide for some stomach churning fun. Aside from tourism, the economy is also bolstered by a strong military presence. In short, San Antonio is eclectic, diverse, and definitely more than meets the eye. on the other hand, is cool, averaging 65F (18C), but often damp. If you are planning outdoor activities, April and late October are your best bets. The city rarely fills up completely, but big festivals like the Fiesta San Antonio in April and the Texas Folklife Festival in June can attract visitors and temporarily spike hotel prices, so check a calendar and book in advance. Just an ordinary downtown and if it wasn’t for Riverwalk and the Alamo, there wasn’t really much to see or do. There is so much to do in San Antonio. It's the seventh largest city but has a small town feel to it. If you cannot find something to do then you have not left your house. Downtown San Antonio offers many great sights! After walking off your food down by the river walk take a walk upstairs on the downtown streets. Lots of historical architecture! I've popped in and out of San Antonio a few times for work trips and always have been pleasantly surprised by it. The San Antonio River Walk is really neat even if you only have a few spare minutes to check it out during a conference. I love love love this city!!! It has everything you need from being trendy cool person. One of those places that is perfect for tourists because of how close everything is. Love the River Walk! So much to see, to little time! San Antonio has everything you could want in a Texan city. 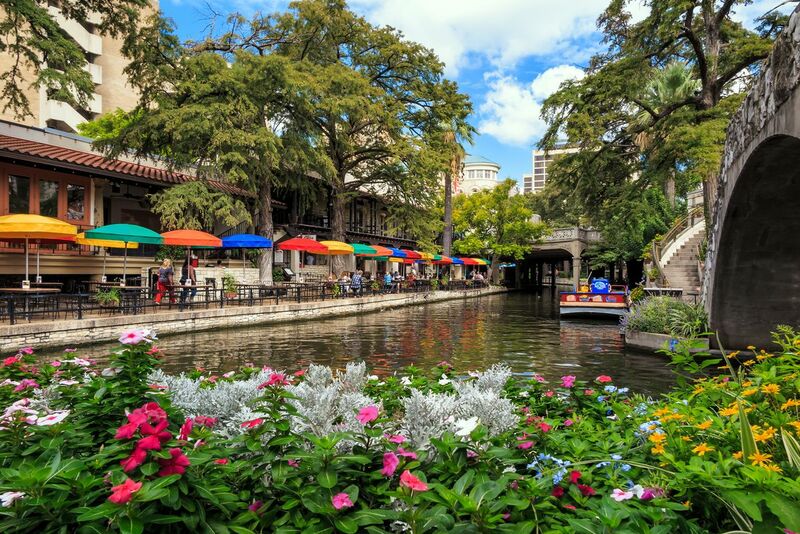 It offers plenty of western history, cowboy culture, and a nice selection of restaurants and bars along the river walk. Travel + Leisure readers have always loved the Alamo city’s chili-sauced Tex-Mex, but some of its emerging barbecue has a cutting-edge style. At the Granary ’Cue & Brew, within the rehabbed Pearl brewery, the menu features classic brisket and house-made sausage, along with grilled quail, root beer–sautéed scallops, and Texas toast glazed with a mixture of brisket drippings, butter, and sea salt. Just outside town, Texas Pride Barbecue keeps it classic; based in a former filling station, it offers a bikers’ night as well as a quasi-vegetarian giant baked potato (stuffed with cheese and chopped brisket).